Wonderful tool for safety engineers and sound quality controller. It provides a reliable, accurate and fast way to measure sound level and calculate the decibel of factory, office, traffic, family, and audio system. Featuring a wide dynamic range from 35 to 130dB, it can measure both A and C frequencies to get the right response for the human ear, as well as fast or slow responses to get an “ambient” reading or a short noise. 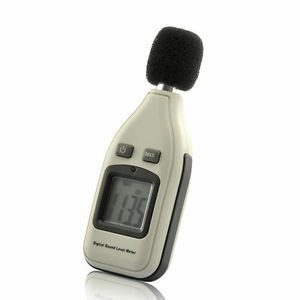 Great for noise pollution monitoring, home theater setup, health and safety compliance, vehicle noise testing etc.